There are two versions of Star Trek on TV. You can only pick one. Or both. 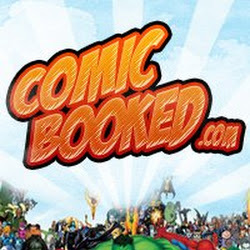 Comic Booked is gonna break them down for you. Sure, why not? This article is about The Orville, and is the only one of the two new shows that is actually not Star Trek, but kind of feels more like Trek. I’m not one to subscribe to strange conspiracy theories, but the more I think about this one, the more it makes a certain amount of sense to me.. But, keep in mind, it might not be true. Here it is: Seth MacFarlane, who created Family Guy, wrote the pilot for the Orville to feature lots of jokes, quips and biting satire of the conventions of Star trek, so it was clear that Fox would see it as a parody of Star Trek. When produced, it would also be marketed as a parody, and therefore it would be safe from any lawsuits that he was ripping off the long standing franchise. All that fair use stuff. Yet, being a huge fan who was unable to convince the brass at Paramount to go for his Star Trek pitch, MacFarlane instead created something pretty much just like Star Trek, sold it to another studio (Fox) and has changed enough (and is enough of a parody) to keep free and clear of the plagiarism suits. Yet, through it all, he takes his Trek seriously, and wants to include at least much drama on his show as comedy. The comedy, which, for some fans, might be a bit blunt for the more formal types of characters normally found on Star Trek, will always be a part of the Orville’s DNA, but as the show has gone on, the episodes have become more topical, more satirical, more topical, and more emotional. Each episode added depth to this new little universe that Seth has created. Since it’s not steeped in Trek canon, anyone can just jump on board. What’s more, this is 90’s star Trek through and through, at least stylistically. The lighting, the set design, the not-so-showy directing style, is all 90’s Trek. As someone who was a teenager when TNG came out, and who still watches TNG in the background even now, the Orville is incredibly nostalgic. It’s like I’m watching old episodes of Trek for the first time. It’s not a criticism to say that the Orville largely repurposes old plots for use on this show. I like seeing familiar plots be given a bit of a different take here and there. And the show’s humor is often pointed at the sensibilities (and how over the stuffy it was) of the TNG era, so I can just sit back, have a beer and enjoy it. It’s style is very straight forward. There is literally a scene in the pilot where all the main characters (and their individual backstories and gimmicks) are introduced quickly so we know who they all are instantly. 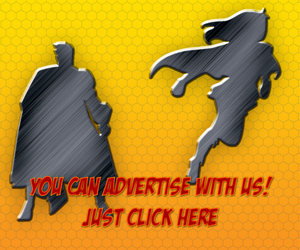 I guess he felt that there was no reason to try to hard to be creative with how these characters are introduced. What I am finding though, is that the episodes that follow are allowing different members of the ensemble a chance in the spotlight, just as TNG had done. Old Wounds is probably the least successful episode of the series, yet was featured the most in the early trailers. 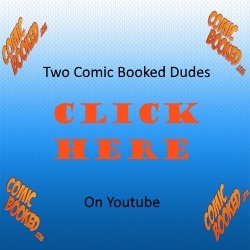 As a pilot, the show had the most one-liners and zingers, and a myriad of jokes could be used to create trailers that would let everyone know this was more of a parody than a rip-off. When the pilot aired, I didn’t hate it, but I honestly wasn’t too impressed. The hook that the captain finally gets a command but his first officer turns out to be his ex-wife, whom he caught cheating on her, leads to a lot of arguments you’d see on any show where a formal married couple squabbles, and I didn’t like the scene where they first meet up and talk after a year of being apart. I guess I don’t mind the scene as much now. The sci-fi plot of this episode isn’t actually introduced until the episode is half over (they spend the first few acts setting up the universe, the characters, and the ship) and is pretty rudimentary. It seemed like famous director Jon Favreau just kind of showed up after taking a weekend off of his Disney features to shoot this in a really conventional way (as with the other episodes, I LIKE how conventional these episodes are directed). Truth be told, the pilot’s humor doesn’t always work, but it’s like most comedies.. Even if a joke doesn’t work, you still expect a joke, and then you just hope the next one works. Having rewatched this episode a few times, it works better for me now. Command Performance is really interesting, as it takes a high concept sci-fi idea that Trek has done before and decides to be a bit less abstract about it, and that is the concept of advanced aliens observing humans in a cage. Here, Captain Mercer and his ex, Kelly, are imprisoned in literal zoo meant to look like the apartment they had while they were together. Would their be old sparks, or old arguments? It’s a pretty clever idea. The main part of the story back on the ship is about the young security officer being given command. Very similar to how Hoshi sat was given the second episode of Enterprise to get over her apprehensions about her duty on the ship, this is a good episode to spotlight this character. The desire to go full Trek and actually tackle topics about ethics as they are measured by different cultures shows in the next episode About a Girl, as the a female child is born to Bortus and Klyden, and the fact that the child is female is an anomaly in an all-male species. The Orville travels to their planet and settle this in a kind of courtroom. It hearkens back to the great many episodes of Trek where things were settled in low-budget courtrooms. Also love the low budget cave set. 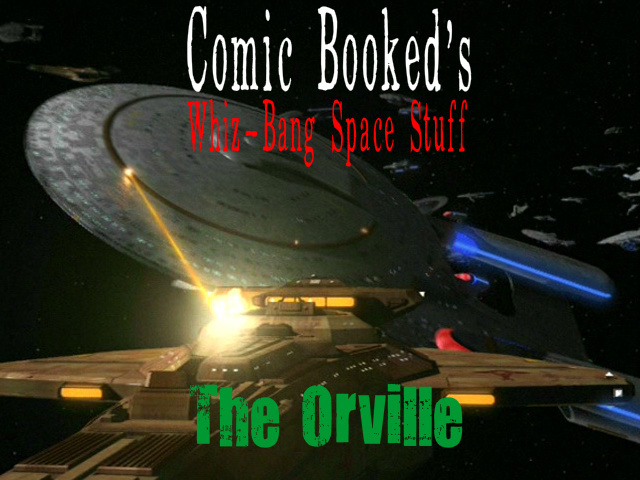 Look for a big guest star cameo in the next episode If the Stars Should Appear as the Orville encounters a sci-fi staple: a ship where the inhabitants think they are on a planet not a ship. It’s a pretty cool, if not spectacularly original, episode, and is good to get us to know this crew a bit better as we see them doing stuff. I love these kinds of adventures. Orville truly finds its groove with the next two episodes, Pria and Krill, and the humor is well integrated into both stories. Pria seems to be a new take on Matter of Time from TNG where a time traveller just can’t be trusted, but the episode is, in some ways even better. Each of its three action set-pieces are an essential part of the story, and the scene where our time travel (played by none other than Charlise Theron) pilots them out of a dark matter storm, is really neat to watch. 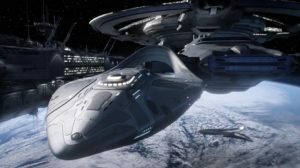 Her story: the Orville was supposed to be destroyed in that storm, and she saved the ship and crew so that she could bring them into the future and sell the ship for money. Oh, I should mention the subplot concerning Malloy. In the pilot, this was the character that was most annoying, she tried too hard for a simple joke. By this point I like the guy, and the whole subplot of him teaching the robot what a practical joke is works perfectly, and plays into the main plot. Malloy surprised me again in Krill, ad he and Ed must infiltrate an enemy ship (the Krill, who were generic Klingon rip-offs in the pilot) in an attempt to steal their bible so the Union could learn their culture. This some great physical comedy, some sharp dialogue, and a sense that stakes are raised in a way that that seems natural. It’s a damn good hour of TNG-like Trek. Parallel earths have been a staple of Trek since the original series. The crew would often meet up with Earth-like planets that have taken one aspect of our own culture or history and take it too far. Whether it’s the Nazi planet (Patterns of Force) the gangster planet (A Piece Of the Action) the paranoid planet (First Contact – the episode), the stone age planet (Thine Own Self), or many many others, we have, with Majority Rule, our first such planet in Star Trek (even though this is not really Trek) since Enterprise’s North Star (Western planet). This planet matches our current technological level, but is a true democracy, and everything is voted on by everyone, and everything trends on a master internet feed. When one of the crew gets in trouble, we are treated to the planet’s unique system of justice as doled out by popular vote and is exactly like upvoting and downvoting on social media. Even fans who like this episode I think are missing the point if they spend too much time looking too deeply into how this democratic system would actually (and practically work) because, with a sharp enough satiric edge to it, a story doesn’t need to be air tight and hold up to the sharpest scrutiny, and this episode is as good a satire on our social-media-obsessed culture as we can ask for (I have not yet seen a similar episode of Black Mirror) I think what I like most about this episode is how it is resolved. It’s just an amazing episode. Lastly, (for now) with Into the Fold we get a pretty standard plot involving crew members crashing a shuttle ion an alien planet and vying for survival and rescue, but in this case, the episode focuses on two characters who have not had the spotlight before, Isaac and Finn. Isaac, who is more robot than Data ever was, learns a lot about humanity while having to protect Finn’s children, while Finn herself find that she must kill her captor in order to make her way back to them. This motherly instinct is powerful and the show allows you to decide for yourself if she did the right thing or not, with actions that would likely not be seen on TNG despite how familiar this story was set to be too many TNG episodes. The plot is less important than the emotions – the human stories – that really allow this episode to stand apart. 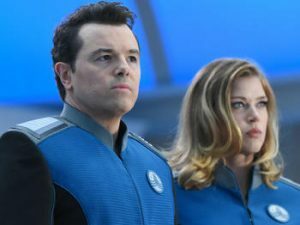 With the last batch of episodes, The Orville has embraced itself as a real drama, and the stories have forced its characters to find actual solutions before the ship can warp off to the next week. This is quite surprising for a show that was marketed as a mere parody.